Who is Andy Bloch? 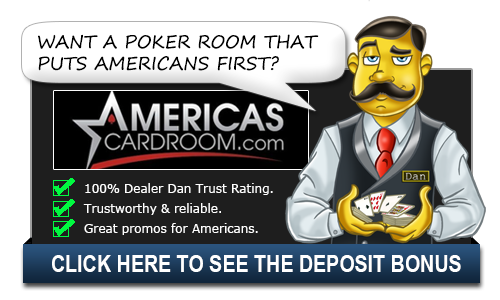 | Andy Bloch Bio - Casino Answers! Andy “the rock” Bloch is an American professional poker player. has earned over $4 million in poker winnings and is an expert in game theory. Bloch’s first win was at the World Poker Finals tournaments at Foxwoods. In 1997 he was the first player at the WSOP to have his hole cards videotaped. Some of his accomplishments include two WSOP final tables in 2001, a first place finish at Foxwoods in 2002, two World Poker Tour (WPT) final tables its first season, finishing 3rd both times. At the 2006 World Series of Poker, Bloch finished 2nd to Chip Reese in the $50,000 H.O.R.S.E. event. The battle lasted 286 hands and was the longest recorded in WSOP history. Also in 2006, he defeated Phil Laak to win the Pro-Am Poker Equalizer taking in the grand prize of $500,000. In March 2008, Andy Bloch finished runner-up to Chris Ferguson in the NBC National Heads-Up Poker Championship. Bloch is currently a member of “Team Full Tilt” at Full Tilt Poker. Andy Bloch is a rather fascinating case when it comes to professional poker players as this background is quite unique. He holds two electrical engineering degrees from MIT and a Juris Doctor from Harvard Law School. While studying electrical engineering and MIT, he became a part of the infamous MIT blackjack team. This is the same group of players who were featured in the movie Bring Down the House which was later turned into a major motion picture. The team would count cards and use their advanced mathematical skills to beat the blackjack tables. Bloch was one of the players who played at the Monte Carlo which led to another book, Busting Vegas by Ben Mezrich. Andy has said that he made $100,000 in a single session while playing as part of the MIT blackjack team. From there, Bloch began playing poker as he would enter some smaller tournaments once per month. As he got better, he decided to enter the World Poker Finals tournament in the $100 no-limit Texas Hold’em category despite never playing that brand of poker before. Being the savant that he is, Bloch won that tournament and he was off to the races. By 1997, while enrolled in law school he skipped the last week of classes to play in the World Series of Poker Main Event. This alone is interesting, but what he did at this event would change poker forever. Bloch was the first player to ever try out the “hole card cam” which were later documented in a CardPlayer Magazine. He would finish the bar exam and was ready to start his law career in 1999, but he decided to delay his law career to play poker. This turned out to be the right decision as in 2001 he made two World Series of Poker final tables as well as two World Poker Tour final tables. He’s been a poker pro ever since and has been quite successful. Bloch is known for his charitable nature as he has donated 100% of his online winnings to charity in the past as well as donated $100,000 to Darfur charities.